The most famous house in the UK is facing an uncertain future, as Endemol prepare to dismantle the iconic set after sixteen years in its North London location. Endemol were granted a three year extension on the lease for the Big Brother House, allowing it to remain in place at Elstree Studios in Borehamwood until at least 2021. As part of the lease, Endemol were granted 32 live shows per year, including 14 shows mid-week, and permission to keep the production base at the studios. Earlier this week, The Sun published aerial shots of the compound, showing the exterior stage in late stages of deconstruction, with the stairs and stage already removed. The main house remains untouched. 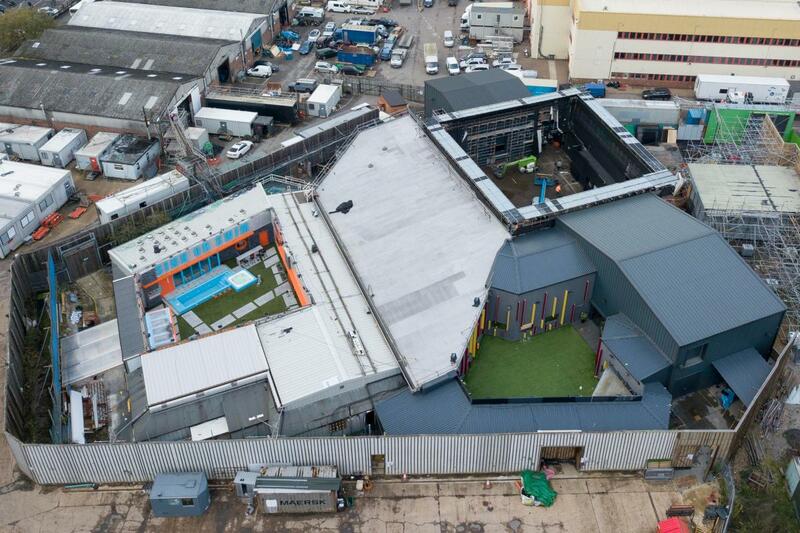 A Source told The Sun: “The production company who make Big Brother own the house, but Elstree Studios own the land, so the house has to be taken down now the show has been cancelled. Big Brother originally moved to Elstree Studios in 2002, ahead of its third civilian series on Channel 4. Since then, every series of the reality format has been filmed at the compound – reaching over 40 series. The Elstree compound has seen a number of changes since it moved to the studios, including a complete rebuild of the back of the house in 2008. After moving to Channel 5 in 2011, a new permanent exterior stage was set up outside of the house. In 2016, Endemol were granted permission to build an extension to the existing house, which included a brand new house extension and second garden, as well as a new eviction stage building. Big Brother’s future currently remains unclear, with Netflix still holding talks with Endemol to commission a new series.